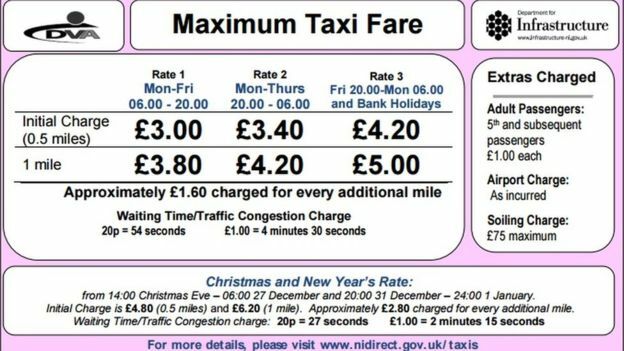 While we are used to seeing taxis fitted with a meter in the cabin it seems that this is not the case throughout the country, with Northern Ireland drivers working with charge sheets up until now. While many drivers have been working with the traditional black meter law now states that all drivers must work with a meter that sets rates and records then, a change that promises to streamline procedures and maintain honesty across the industry. 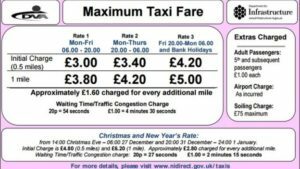 A standard journey within the city would cost the customer an average of £3. “Sure you give the kids £3 to go into the shop for sweets,” said Mr McCool, “People think that you’re sitting here raking in all this money, you’re not. “Taxi drivers in Derry are generally doing 80 to 90 hours per week, they’re actually doing two weeks work in a week just to make a living which is absolutely disgraceful. “These meters will cut down on those the hours and hopefully we’ll make a living out of it, so everybody’s happy,” he added. While conjuring up conflicting opinions this change is unmovable, with meters with printers for all Class A and B taxis compulsory from the end of May this year. Let us know what you think, is the a good move for the taxi drivers of Londonderry? Leave your comments below.